HTC didn’t bring us beta version of its Oreo update, but that doesn’t mean they were not actively working on to release Android 8.0 OTA as soon as they can. In fact, they began rolling out Oreo for the U11 users in Taiwan from 15 Nov 2017, and now have Oreo treat available for the users in Europe too since 27 Nov 2017. HTC earlier took to Twitter to announce that they were preparing Oreo update for their flagship devices (U11, U Ultra and 10), and since then they have performed pretty well — even releasing the U11 Plus with Android 8.0 pre-installed. The likes of U11, U Ultra and HTC 10 are among the first devices to get 8.0 update from the company, as HTC confirmed earlier, but they would be followed by some of the releases from the year 2017. Here’s how the HTC Oreo update roadmap looks like at the moment. The table above shows a list of devices that would and wouldn’t get Android 8.0 update from HTC. Let’s talk the Oreo rollout for these devices. 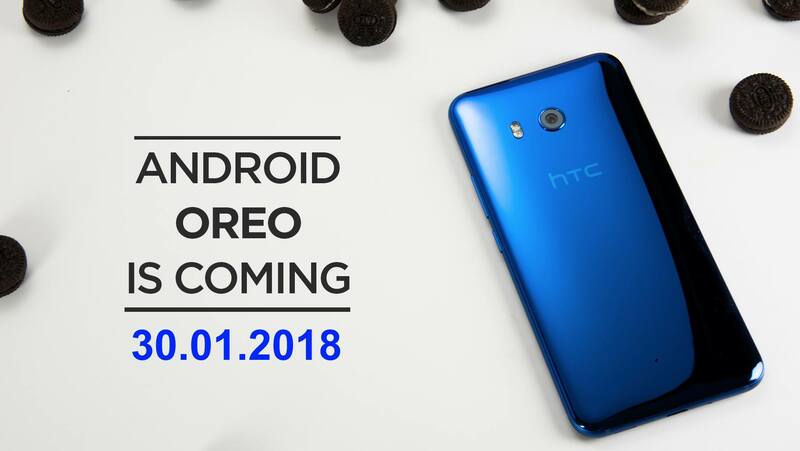 Update [January 29, 2018]: Oreo for India and Singapore was confirmed earlier today by HTC on their Facebook pages. HTC U11 users in these two countries — we expect more countries in Asia to be part of this rollout, BTW — would receive the Android Oreo update as an OTA on and from 30th January 2018, Tuesday. Update [January 22, 2018]: HTC has now released the Oreo software update for the Sprint HTC u11 users. 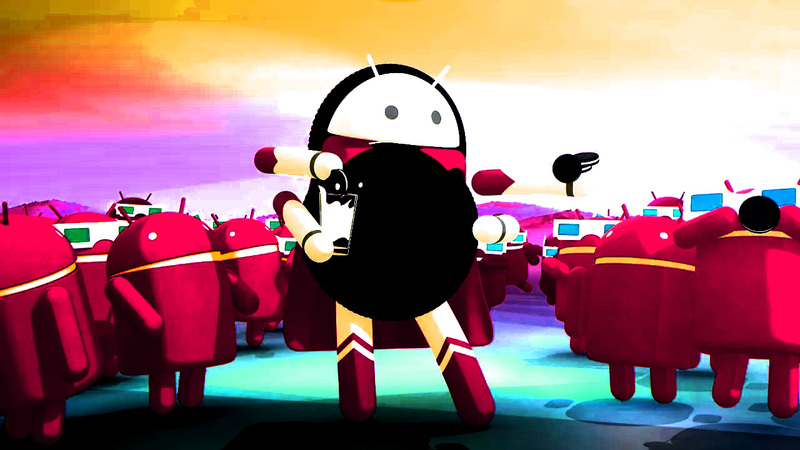 The Android 8.0 comes as software version 2.33.651.10. The Android 8.0 Oreo update brings lots of new features like Autofill, picture-in-picture, new Settings app, revamped notifications center, notification snooze, etc. stuff. Update [January 20, 2018]: Coming soon to Sprint. HTC’s Mo Versi who has often given us release details on OS update rollouts has confirmed that the Android Oreo update for the Sprint HTC U11 is all set for rolling out on Monday, January 22. 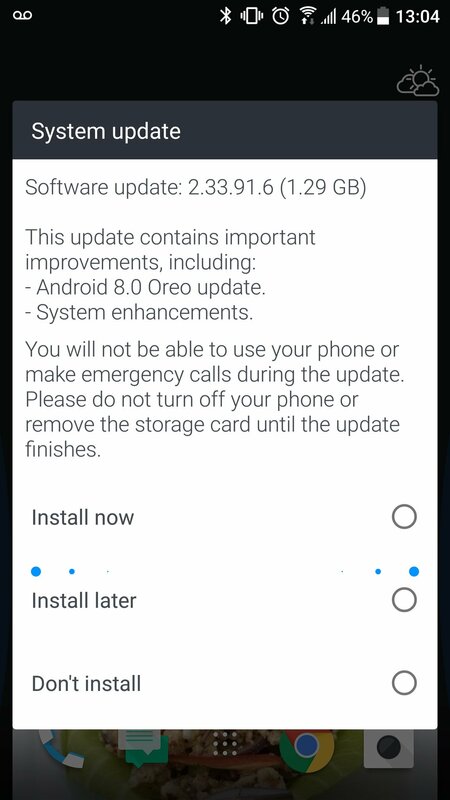 Update [January 16, 2018]: HTC U11 Android 8.0 update is now available in the UK. This was expected now as HTC only recently made an apology to its European users for the delayed rollout, also confirming that the update is planned for rollout in near future. Our friends from the UK have confirmed the update, which is seeding out as version 2.33.91.6, sized 1.29GB. Expected release date: Pre-installed outside the US. Released in December 2017 for the US handsets (including T-Mobile). 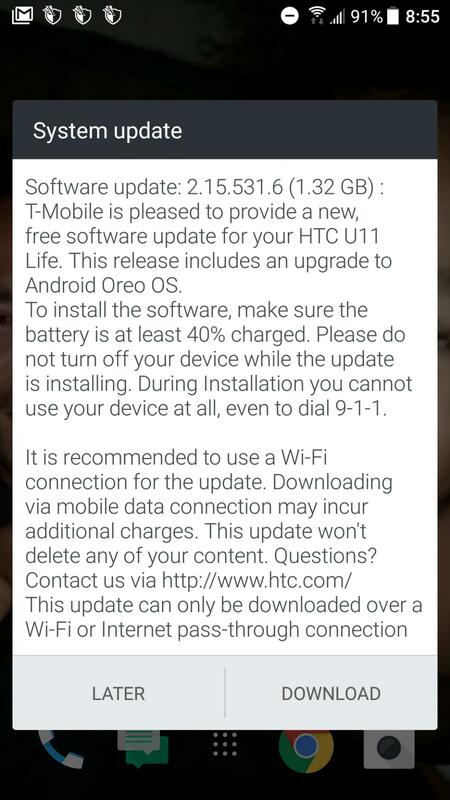 Update [December 19, 2017]: The T-Mobile HTC U11 Life users are also up for Android Oreo. The Android 8.0 build weighs in pretty heavy at 1.32GB, and comes as software version 2.15.531.6. Status: Released on March 07, 2018, In India. Expected in other countries soon. The rollout of Android 8.0 update for the U Ultra handsets has begun in India. We expect the unlocked HTC U Ultra sets in Europe, the US, Australia, and other parts of the world of the receive Oreo for U Ultra sets soon, within March-April 2018. Update [April 19, 2018]: Sprint users of HTC 10 can also dance to the same tune as their Verizon counterparts after the American carrier officially kicked off Oreo rollout for the 2016 handset. Unlike what happened a month ago when HTC’s Mo Versi tweeted that Sprint’s HTC 10 will start receiving Oreo on February 13, this time around, you can even grab the RUU file, which wasn’t available back then. 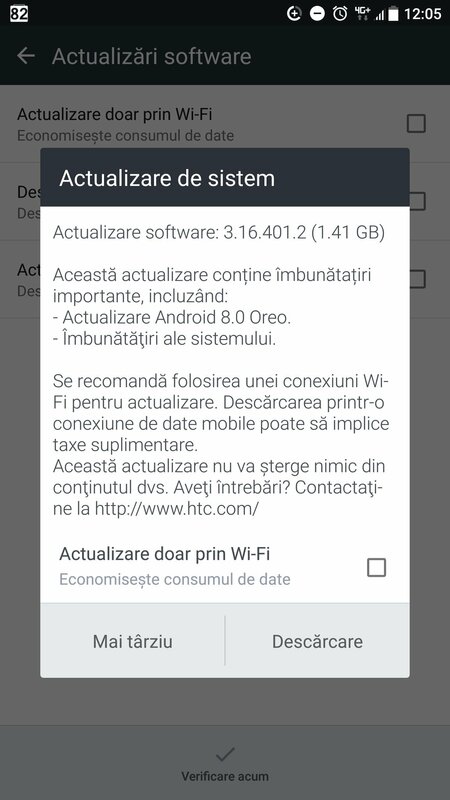 Update [April 12, 2018]: A month after HTC 10 users in Asia started receiving Oreo, the OS is now rolling out to users of the phone on Verizon Wireless in the U.S. Besides installing Oreo, the update also brings January 2018 security patch. Update [March 12, 2018]: On February 27, HTC 10 users in India and Singapore started receiving Android Oreo on their handsets. The company is also rolling out the same update to HTC 10 units purchased in Australia. The OS is rolling out over the air and thus it will take some days before everyone gets the OTA notification to download and install it. Update [January 25, 2018]: HTC is now rolling out Android Oreo update for HTC 10 users in the MEA region (the Middle East and Africa). HTC announced the Oreo rollout on their Facebook page here, where they also confirmed that this is for unlocked handsets only. If you are residing in the MEA region, do hit up Settings, and check for the new system update now. Update [January 15, 2018]: Besides the US (details are right below), the Android 8.0 update for the HTC 10 is also live in Taiwan, where it is rolling out as version 3.16.709.3. The update is now available in Europe, too, from 18th January 2018. 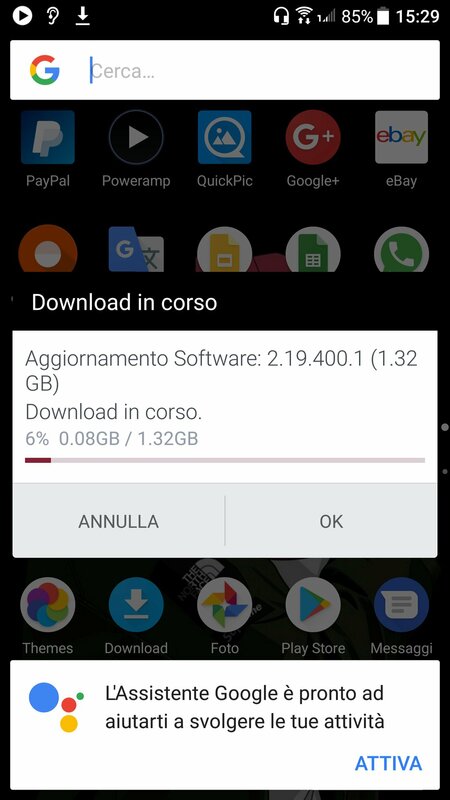 The Android 8.0 Oreo for HTC 10 sets in Europe comes as version 3.16.401.2 and runs at 1.41GB. 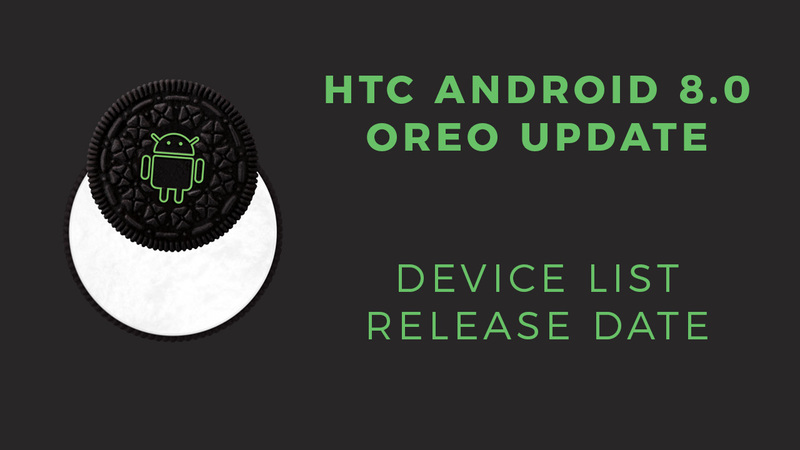 Update [January 12, 2018]: HTC has begun rolling out Oreo update for its unlocked HTC 10 handsets in the US. The Android 8.0 upgrade comes as software version 3.16.617.2 and is already available for download as RUU file, which is HTC’s self-installing ROM Update Utility. Update [October 24, 2017]: Reports have emerged that we are not likely to see HTC release Oreo for the HTC 10 sets this year. However, the good news is that we can expect the Android 8.0 update to land in early 2018. We are hoping for January 2018 release, which seems easily achievable for HTC, as they are expected to begin the 8.0 rollout for U11 sometime towards the end of November 2017. 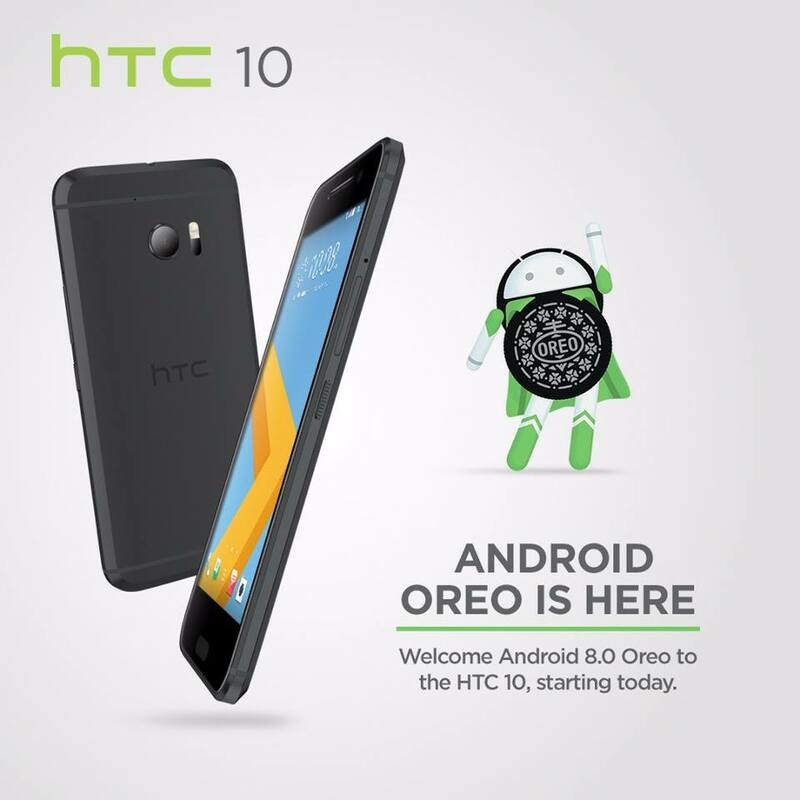 One would hope for a quicker release of Android Oreo for HTC 10, mainly because HTC mentioned the Oreo for 10 in the same breadth as it did for the U11 and U Ultra. That however, doesn’t look like happening in our book. We are sure HTC 10 Android 8.0 update will be delivered swiftly by HTC, without must delay really, but we wouldn’t hold out for release in 2017. A January-February 2018 release looks practically more achievable for the company. Sadly, the old flagship from HTC that one of the most top handsets of its time won’t get a jump to 8.0. OEMs have a two year update policy, except for the security patch OTAs, and now that One M9 falls into this category, it’s only fair on HTC’s part to drop support for One M9 for an update like Oreo. Though, you can be hopeful that a One M9 LineageOS 15 ROM brings Oreo to the device, as even though the ROM is yet to hit official channel, it’s already bringing Oreo to lots of devices. Chekc out our LineageOS 15 release date and device list article here. One M7 and One M8 as pretty old flagships that won’t get any Oreo love, Sorry! But, as you might have guessed it, the LineageOS 15 ROM, or any other ROM like Cardinal AOSP, can bring the Android 8.0 support to M7 and M8. Also known as HTC 10 Evo outside US, the HTC Bolt finds its place in the list of HTC device eligible for Oreo update. Though, do not expect the Android 8.0 OTA to arrive any soon — as a benchmark, keep track of rollout for HTC U11, and HTC 10, as only when HTC is done with these two, they would start working on the Oreo rollout for HTC Bolt, aka HTC 10 Evo. Here’s a list of HTC devices that won’t get Oreo 8.0 OTA. HTC has trimmed down its customizations by solid margin in last few years, and we expect the company to continue with minimal sort of Sense UI with Oreo too. Even though their Oreo update wouldn’t look like stock UI we see on Pixel, it would work similarly for the most part as it will be little theming that UI alterations that will be part of Sense UI on Oreo. And that is a very good thing. What else, you shall continue to enjoy their proprietary features, like Zoe camera, with the Oreo OS too. 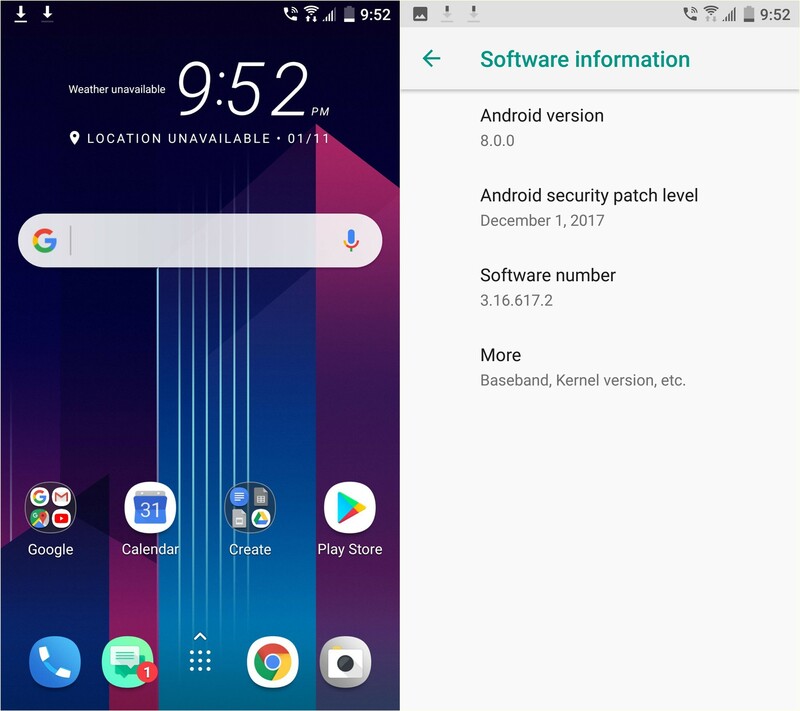 While, all features and improvements Google introduced in Oreo will definitely be part of update: You will get picture-in-picture mode, Autofill, Notification Snooze, Instant Apps, faster device restart, Adaptive icons, and solid and stable system that would save greta on battery and perform well at the same time. So, what are your thoughts on the HTC device list of Oreo supported devices?